[POLL] Should 3.5mm headphone jack go or stay? The rumour is floating around that Google's next Pixel 2 will ditch the standard 3.5mm headphone jack. The 'trend' started by Apple with its iPhone 7 model is likely to be adopted by the gadget manufacturers around the world and I'm not sure if it's good or bad. Let's see what our fellow CEans think about the presence of 3.5mm headphone jack? One: The 3.5mm headphone jack will continue the presence of wires which could be inconvenient at times. Two: With bluetooth getting better and better; you can stream the best of the audio signal over bluetooth. So it's all good. What's your take? Vote on the poll and also express your thoughts via comments. Wired headsets often gets tangled and causes permanent damage . Wireless ones on the other hand consumes a bit more battery but supports good quality music streaming. One with an average performance falls nearly in the same price range as that of wired headsets. The only disadvantage is that some of the premium wireless headset costs much more in comparison to that of wired ones if we browse for them in some specific brands like Sony, Sennheiser, etc. The 3.5mm headphone jack should remain in smartphones because I do not want smartphone manufacturers to take more of my money on USB Type C or Bluetooth headphones. The 3.5mm jack is like the universal port, it can not only help to connect headphones but also to speakers to car stereo. If smartphone manufacturers chose to stick with 3.5mm headphone jack then we, the customers get the choice of headphones. We could buy a cheap Chinese knockoff for Rs. 100 or a noise cancelling Bose headphone for Rs. 25000. As you said yes Bluetooth technology is catching up from the 2010 when using Bluetooth sounded like you were talking underwater. Bluetooth has a big drawback, it consumes battery, both on the smartphone and the Bluetooth headphone itself. Most Bluetooth headphones have a battery life of around 5 hours after which if you run out of charge you need to rely on a proprietary charger or one of those charging docks. In case you still want to be wired, you can use USB Type C headphones which again cost you extra cash than regular headphones of the same category. Manufacturers argue that skipping on the 3.5mm headphone jack make their products slimmer but is it a trade off we really want. We all know that slimmer phones are hard to hold. You mentioned Apple in the main message and here is why it worked for Apple. Apple targets its products to the high-end market where customers can and are able to spend a premium for wireless headphones. Imagine a brand like Xiaomi doing this in a mid-range smartphone like Redmi Note 4, it would drive its targeted audience away. USB ports evolved, Charging ports evolved, technology itself evolved, but the 3.5 mm Analog Audio Output port stayed strong for decades. It looks a little big or bulky for current standards when manufacturers try every way to save space for everything else. It requires decent processing power to reproduce good quality analog audio signals that drive the speakers from digital data. That is where a Bluetooth headset would fail, I feel. It will be, in some way, optimised to generate decent sound at longest possible battery backup and save cost. A phone on the other hand doesn't have that limitation, tons of processing power and dedicated hardware which could reproduce supreme quality analog output. A wired headset will be preferred for good quality sound and price over wireless advantage by most people, I feel. 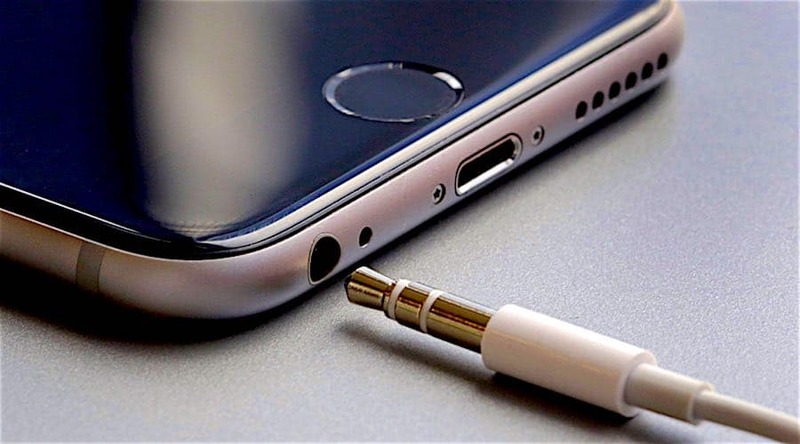 Since there already is a standard for that, the 3.5mm jack, it should and it would stay. And I don't wish to ditch any of my Sennheisers. Bose has already come up with Bluetooth headsets. Headphone Jack 3.5 should go and there should be only one unified connection on phone "USB type C". My take is to make a universal port. I am not in favor of Bluetooth either, It's like we are tending to reach home and first we need to to is plug everything to charging port. Headphone Jack 3.5 required digital to analog conversion. Not required if we are looking for true experience. However, there might be argument of durability. @Anoop Kumar - I can predict with confidence that the wires will go (except for the fibers that power the cell towers). It's true that wires still deliver the best of the signals; but I think we just can't undermine the power of bluetooth. USB type C is definitely the standard to follow; but I think it'll be used more to charge the devices and some high-speed data transfer requirements (like copying stuff between two devices). Wireless charging is already becoming very popular and once iPhone introduces it; more brands will jump in to offer it. Samsung's already has a huge lead in term of offering wireless charging. In short, the future is mostly wireless. Your point about devices requiring frequent charging holds true; but Bluetooh's power consumption is quite low (IMHO). I didn't understand what you meant there. Digital to Analog conversion is required no matter what. The speaker can generate useful sound only from analog signals. Quality, power and method of conversion is what that matters. Indeed the quality of driver too. Not just Bose, most brands have. When you buy a Bose, you pay for the brand name. It is debatable, but Bose just doesn't reproduce quality sound (rather heavy base in most cases) that is expected for the kind of money spent. "So this is how audio has been traditionally sent to your ears. The SoC will send the digital data to the audio codec, which would process it and convert it to an analog signal, which would then go to the amplifier, which would then send it through the headphone jack (or the speaker). Your headphones would then just have to intercept the amplified audio signal and use that to drive the voice coil, which then moves the drivers, which produces the sound. But USB audio is different. In this case, the SoC sends the digital data straight out through the USB port (Lightning, microUSB, Type-C, what have you) and there is zero processing done on the device side. Of course, since neither your headphones (nor you) can process the digital signal, it has to be converted to analog at some point. This is why every device connected to the USB port for audio purposes has to have its own DAC/ADC built-in. It processes the digital signal, which otherwise would have to be done on the phone and then sends it to the amp, which also has to reside on the USB device, so it can power the speakers. These parts take power from phone port itself." You can find some better credible source. I seriously fail to see an advantage there except for any space that could be saved by removing the jack. A phone will have far better and powerful DAC and amplifier built in than a headphone and it has a lot more flexibility there. What I feel is, it is efficient wireless charging which actually would allow the phone to be used (better degree of freedom I mean) during the process is the next best thing. TRS should stay.